San Diego Unified is floating yet another bond it says will repair schools’ plumbing, the state’s water system won’t be broken up easily and more in our biweekly roundup of environmental news. For weeks, there’s been a lot of misinformation on social media about a pair of new state laws that attempt to limit indoor water use in California. For most people, the laws don’t do much more than set a new daily goal for indoor water use of 55 gallons per person, starting in 2022. In San Diego, that goal will be pretty easy to meet. In fact, we probably already meet it. According to the city’s water department, the average person uses 60.3 gallons per day, a figure that includes all water used inside and outside. It’s hard to say how much water is used outdoors versus indoors, but a few years ago the city estimated that about 18 percent of water was used outside the home. Using some very ballpark figures, that means indoor consumption may be about 50 gallons per person per day now, so it seems safe to say that not only do city water customers already meet the new 55-gallon goal but could easily meet more ambitious goals in years to come. “We’re at liberty to continue doing what we’re doing,” Luis Generoso, the city’s water conservation program manager, told a City Council committee last week. It’s also worth pointing out that the goal is based on an average that applies across a water agency’s service territory, meaning some customers will use more, but some will use less than 50 gallons per person per day. Someone who takes short showers and eats out all the time will be averaged in with someone who takes long baths and washes a lot of dishes. That said, the city will need to begin using satellite imaging to estimate outdoor water use, which helps calculate indoor water use. 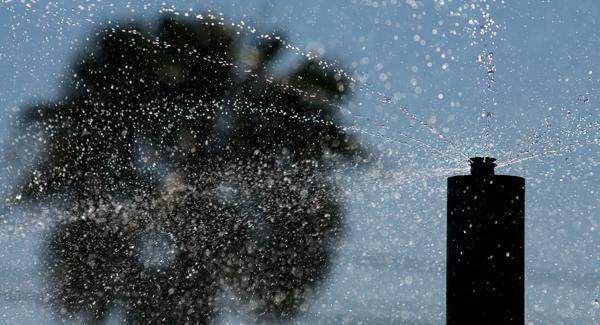 The city already cites people who violate existing water use restrictions. That happens only rarely, though. Last year, the city cited an average of 23 people per month for wasting water. A School Bond to Really Repair Old Plumbing? Kevin Beiser, president of the district’s school board, tweeted out poll results over the weekend that seem to show widespread support for the bond measure. Among the things that voters are willing to pay for are plans to eliminate lead from school drinking water, according to the research. The district had the chance to do that with previous bond measures but so far has spent the money in other ways. In 2004, 2008 and 2012, advocates of previous bond measures said money would go to upgrade old plumbing at schools. But, last year, there was a panic after lead was found in the water of several schools. Lead can damage children’s brains and likely leached into water because of aging plumbing or fixtures. Why were those old pipes still there, despite previous bond measures to upgrade plumbing? Perhaps because Unified didn’t replace all the old plumbing. Instead, at one school where lead was found, officials installed a new sports field but not new pipes. It’ll be interesting to see if money from this new bond, sold as a way to repair plumbing, will now actually be used to repair plumbing. It’s hard to take this seriously, but it’s going to be on the November ballot: a plan to divide California into three parts. As the Sacramento Bee points out, if that ever actually happened, it would cause chaos in a number of different ways, but it would also be a huge headache for water officials. The state’s water system is interconnected, as is the economy. Southern California takes some of Northern California’s water, but in exchange for the economic output that water allows, Northern California gets back tax revenue generated in Southern California. That’s a pretty rough thing to be unsure of. That said, the Colorado River is a good example of a water body that is jointly shared by not three but seven states, as well as Mexico. Managing that river is one of the more daunting and unheralded accomplishments of the 20th century, and it gets more complicated all the time because of climate change and a historic drought that means more people are sharing less water. 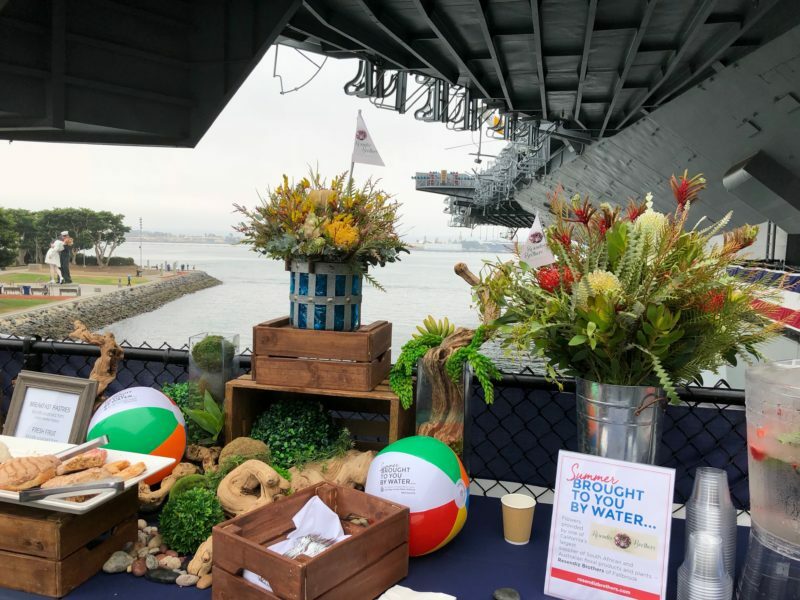 I spent a gloomy June morning on the USS Midway watching officials from the San Diego County Water Authority and local business leaders celebrate the first day of summer and the key role that water plays in our economy. The setting was more fitting than it might seem — the Water Authority was created during World War II to help supply water to the Navy. The Water Authority, perhaps to shore up its support in the business community, has recently launched a new public relations campaign, this one stressing the importance of water. The campaign’s tagline is “Brought to You By Water,” referring to agriculture, brewing, manufacturing and tourism. There’s also an accompanying series of short videos advertising the different uses of water. A local flower grower noted that each of his plants take about 150 gallons of water to grow. Someone from the San Diego Zoo mentioned that water is “super important, obviously” for animals. “Clearly without water, craft beer would be very crunchy,” a brewer said. Since water is the key ingredient to all known life in the universe, the unexplored possibilities are endless: plaintiff’s attorneys are thankful for slip and fall lawsuits, dental hygienists for the high-pressure jet they use to rinse your teeth, Gene Kelly for being able to sing in it, etc. The event echoed, in some ways, the old sort of water boosterism that accompanied early water projects in California, a pro-development ethos that has become more complicated in an era of environmentalism, conservation and efficiency. That said, it was an interesting event and made it seem likely that the Water Authority is trying to communicate the value of higher rates that have come with its recent water supply projects. There’s also a larger rebranding effort going on at the Water Authority. The agency has recently begun adding a tagline to its stationery: “Our Region’s Trusted Water Leader.” That seems aimed at the Metropolitan Water District of Southern California, an agency with which the Water Authority continues to war. The county is bundling rezoning plans and voting on many of them at once. Last week, the County Planning Commission looked at a proposal to increase the allowable population density across nearly 15 square miles of land — land all over the county, covering nearly 900 different parcels. Gail Sevrens, the environmental program manager for the state Department of Fish and Wildlife, said county officials had not done enough to see how those changes would affect endangered wildlife and habitat. She called the county’s behavior “puzzling and discouraging.” She also implied the county may be shooting itself in the foot because of a lack of proper planning that could eventually threaten two wildlife conservation programs meant to make development easier in the future. The Colorado River remains in trouble. San Diego depends a whole lot on the availability of water from that river, but new models suggest the river may be in worse shape than previously thought, writes John Fleck, author of a book on water in the West.